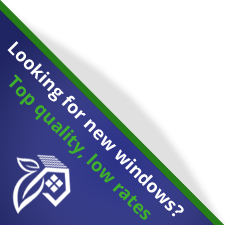 Comfort, energy savings and aesthetics are all important factors to consider when choosing windows. Correct glass type selection is an essential part of window performance and equally important. Fog-Out Window Solutions uses Lux Windows, offering multiple glazing options to suit any environment. Obscure glass is textured glass and provides privacy, light diffusion or ornamental properties in windows and doors. Many types of Low E glass are available for use in virtually any climate; Lux Windows uses a superior glass that is energy efficient in the harsh Canadian climate. Low E2 (272) is a unique, microscopically thin coating that retains clarity containing transparent layers of metal and metal oxides. Many windows use metal spacers between the panes of glass. Lux adds Super Spacer, an advanced foam spacer system, to its windows. Low E2 (272) glass combined with Super Spacer hot melt butyl backing provides superior performance and durability to the total window system. Super Spacer® is a registered trademark of Edgetech I.G. Inc. The space between the panes of glass in a Low E2 (272) window are filled with argon gas – a clear, harmless gas that provides maximum insulating capabilities. This is a standard feature of Lux windows. Numerous glazing options are available including dual pane, triple pane, custom obscure patterns, reflective surfaces, etc.